A couple of weeks ago, when the remnants of hurricane Katia came back across the Atlantic and ran over the top of Scotland, here in the south we experienced blustery winds. 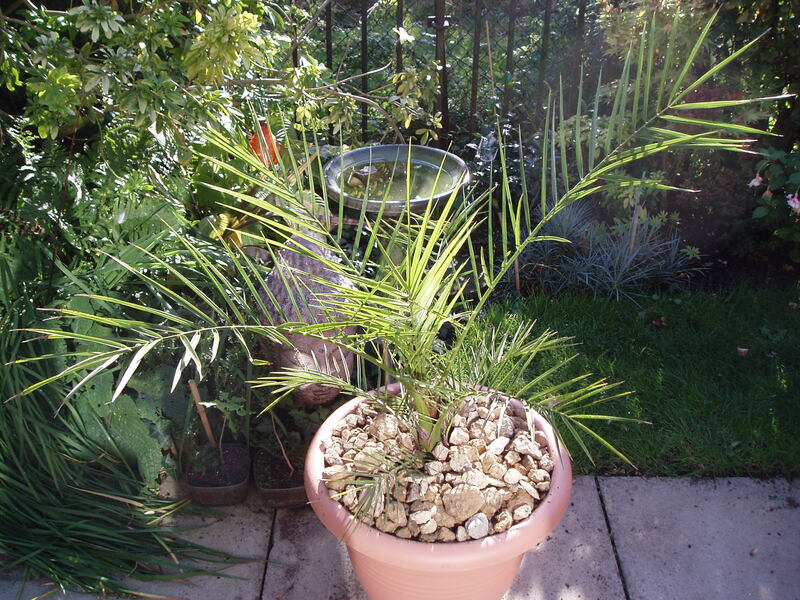 One of the gusts knocked over the young Phoenix Canariensis (Canary Island Date Palm, or just CIDP), that was growing in a tall but narrow pot. The pot was terracotta and being on the patio, broke when it hit the ground – that was irritating. A good dose of bonemeal and a bucket of water later and it seems to be happy, in fact, it’s been positively glowing in the unusually hot autumn sunshine.